It wasn’t that the third-seeded Egyptian, and cousin of women’s World No. 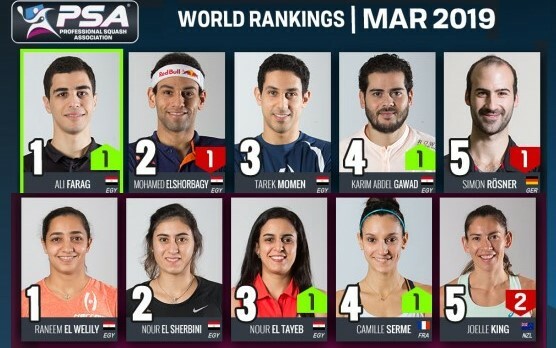 2 Nour El Sherbini, played poorly. He simply had no solutions for the puzzle Tandon was creating. Superior length and width, along with deft touch at the front by Tandon led to clear winners or loose balls from ElSherbini that, on six occasions in the opener, resulted in strokes against him. The stroke-fest continued in the second game as Tandon built an insurmountable lead before ElSherbini made a game of it with a handful of winners of his own. 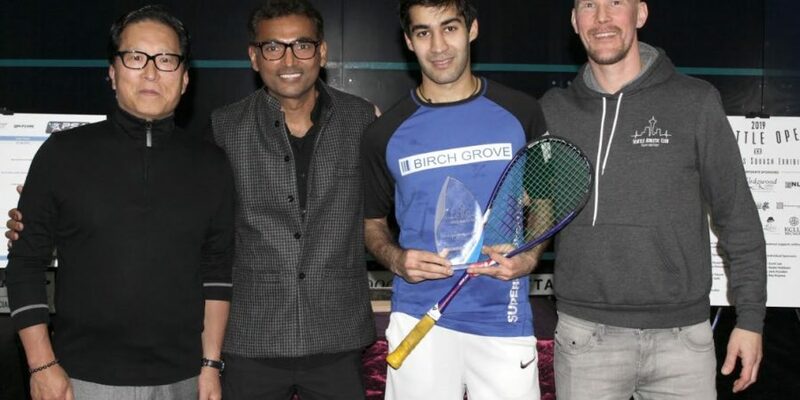 The win was Tandon’s second title in the last 12 months and, despite not currently working with a coach, he has leveraged his time on court with his training partner, Ramy Ashour, into a rise in the rankings from No. 493 in April 2017. 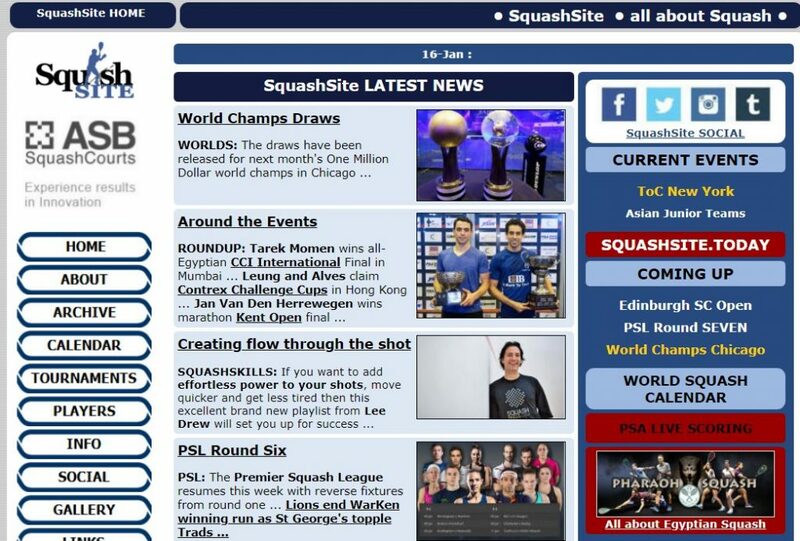 Currently the second reserve, Tandon is hopeful of gaining entry into the the $1 million World Championships that begin in Chicago’s Union Station on February 23. But for now, the rising star can enjoy the rewards from a week of dominant play in Seattle. 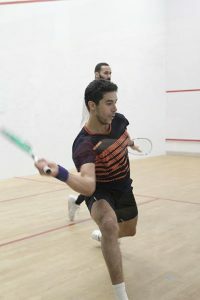 With the glass court at the Seattle Athletic Club back in action at the Seattle Open, Egyptian Mohamed ElSherbini and Canadian Andrew Schnell kicked off the evening’s semifinals. Eight years ago, the pair faced off in the second round of the World Junior Championships in Ecuador. It took ElSherbini four games, after dropping the first, to overcome Schnell then; tonight it took just three. 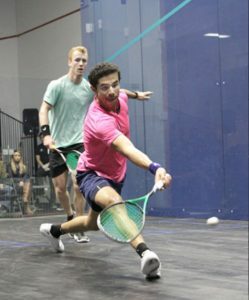 Wary of Schnell’s quickness, ElSherbini established his court position with relentless drives and crosscourts to the back of the court in search of opportunities to impose his short game. As the first two games wore on, with scores knotted until 7-7, the tactic paid off with ElSherbini creating the gap he needed to finish off each game. In the third, ElSherbini caught Schnell leaning left a couple of times before hammering the ball deep to the back just out of the Canadian’s reach. Now based in Boston, ElSherbini is coached by Mike Way and working as an assistant coach for the Harvard Crimson. World ranked No. 81, ElSherbini will, for the first time, face Indian Ramit Tandon in Saturday night’s final. Tandon’s relentless and precise placement of width, length, and nicks overwhelmed his semifinal opponent, Lyell Fuller of England. In three quick games, Tandon put pressure on Fuller from the start, leaving the Englishman frustrated and without answers. The glass court takes a good length well, and Tandon had no problem finding outright winners repeatedly. 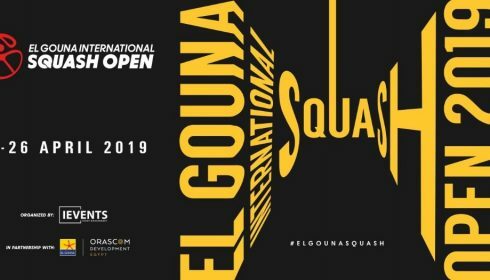 The top-seeded Tandon will be in search of his fourth PSA tour championship, while third-seeded ElSherbini will be looking for his career eighth title. 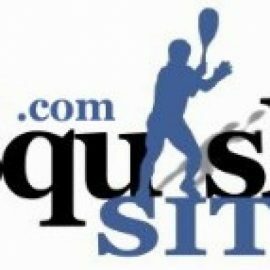 The quarterfinals of the Seattle Open were highlighted by strong play from the no. 1 seed, and a match so fiercely contested that it broke the court. The evening started with 36-year-old Canadian Shawn Delierre squaring off against Andrew Schnell, a fellow countryman nine years his junior. Delierre took an early lead by forcing errors with his signature medium-paced, deliberate style. He was ahead 7-6 when Schnell upped the tempo in a long, attacking rally that he finished with a delicate drop. It would prove to be the turning point in the match: for the rest of the game and the two that followed, Schnell continued to push the pace, and Delierre responded with loose shots that Schnell consistently put away, cruising to a straight-game win. Next up was what would prove to be the most hotly contested match of the night, between Mohamed ElSherbini of Egypt and Daniel Mekbib of the Czech Republic. They immediately settled into a rhythm of fast-paced drives that resulted in long, wearing rallies.With Mekbib up 4-3, one of the floorboards in the back left corner of the glass-walled court gave way under the heavy traffic. Half an hour of work couldn’t repair the damage, and competition for the rest of the evening moved to the Seattle Athletic Club’s traditional courts. 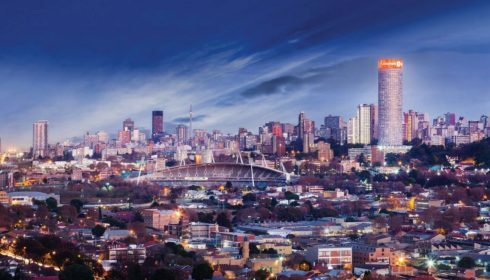 The change of location didn’t change the style of play, which continued at a rapid clip. 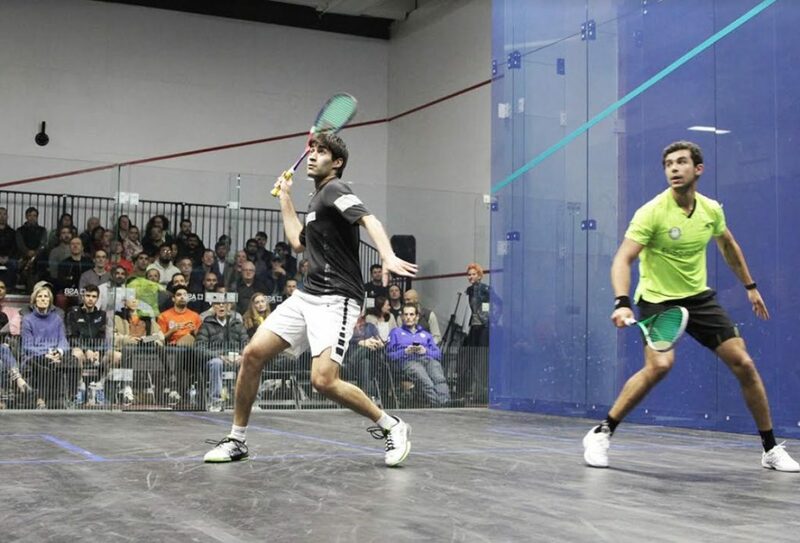 Two tins by Mekbib and a tight rail from ElSherbini gave the first game to the Egyptian. The two continued to trade points in the second, with ElSherbini using more height and varied pace, and Mekbib retrieving brilliantly. A long, deliberate rally at 11-11 ended with Mekbib hitting a daring kill to the front left for a winner. He took the next point to even games at one all. The third was again neck-and-neck, with the tempo once more rising and increased traffic problems falling to the referee to resolve. After a run of strong retrieving and counterattack, Mekbib sent the ball into the middle of the tin to lose the game 13-11. It was a sign of things to come: errors continued in the fourth, as the tiring Mekbib began to cramp in his forearm. ElSherbini held steady to close out the match 11-6. The remaining two matches of the night were less dramatic. Englishman Lyell Fuller’s attacking play kept Finn Matias Tuomi reeling for their first two games. Tuomi got his bearings and upped his own aggression level to win the third, but he wasn’t able to maintain the fight in the fourth, dropping the game and the match. 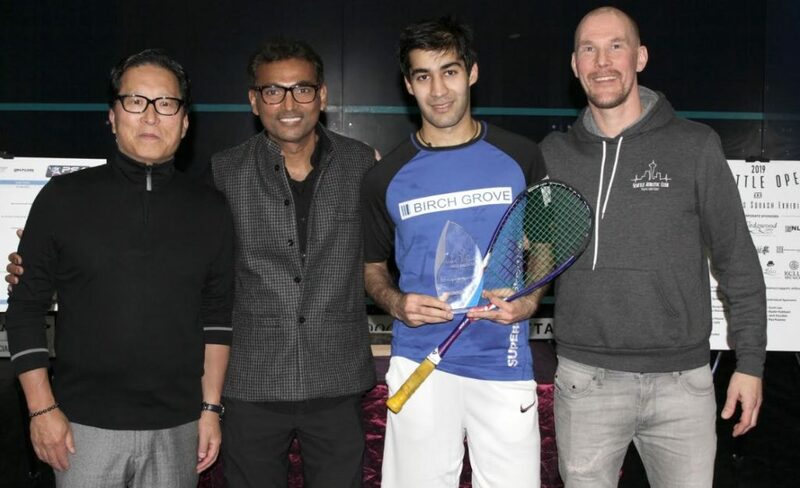 The nightcap featured Indian top seed Ramit Tandon against 20-year-old Frenchman Sébastien Bonmalais, whose exceptional movement in the previous round marked him as a player to watch. He continued to cover the court well, but it wasn’t enough to contend with Tandon’s nuanced tactics and clean, accurate, error-free hitting. The Indian was in control from start to finish. 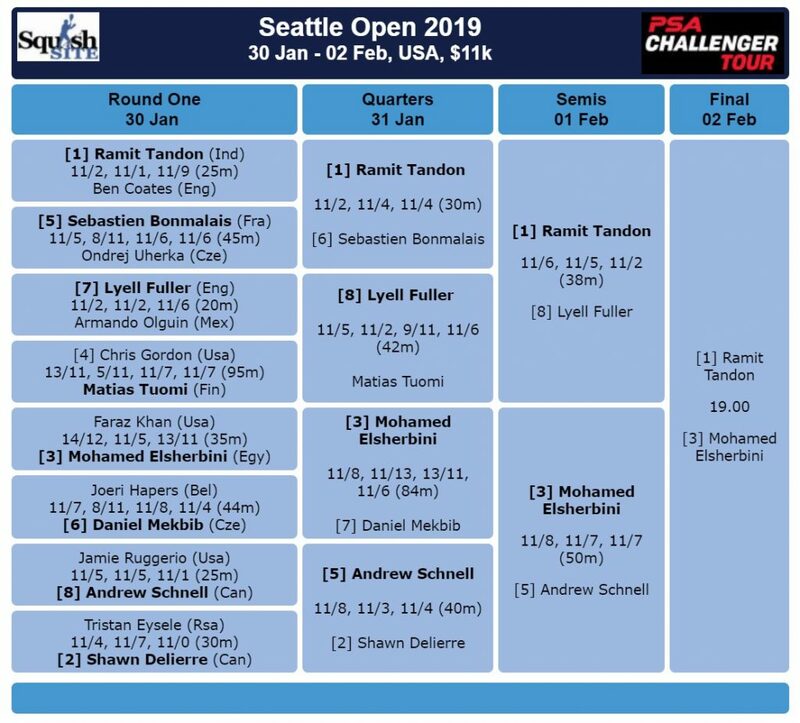 Tomorrow’s semis match Schnell against ElSherbini and Fuller against Tandon. If repair work during the day is successful, play will return to the glass court, which has a well-traveled history. Before arriving in Seattle it belonged to Squash Canada, and it was originally put to use as a show court at the 2014 Commonwealth Games in Glasgow. 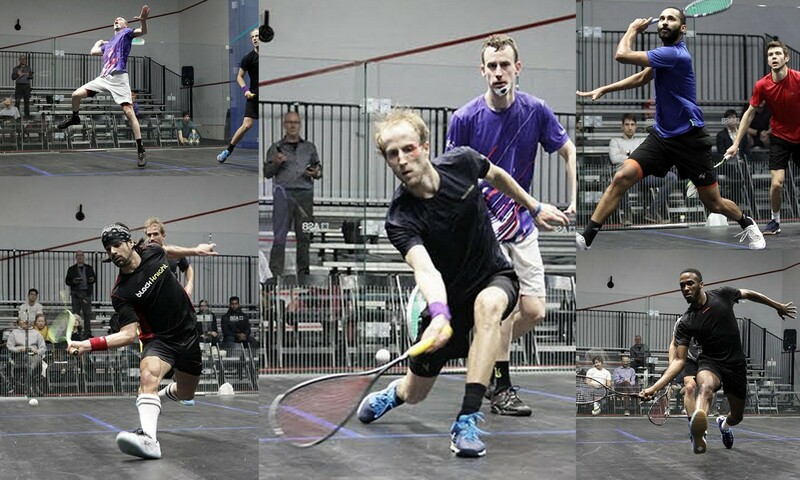 Sixteen players representing 11 countries squared off in the first round of the Seattle Open, a PSA Challenger event, with seven of the eight seeds coming out on top. The one upset resembled a gladiatorial battle–or a hockey game. 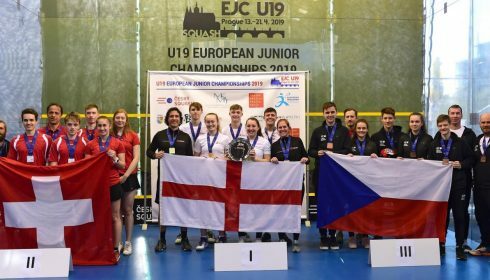 Matias Tuomi of Finland beat American Christopher Gordon in a four-game match that included over 30 minutes of delays due to blood injuries sustained by both players. Gore aside, the match was a display of the lethal effectiveness of driving deep along the left wall and following with a straight drop, a strategy that paid dividends for both players. Gordon worked the combination well late in the first game, coming back from 1-7 to even things 9-all. 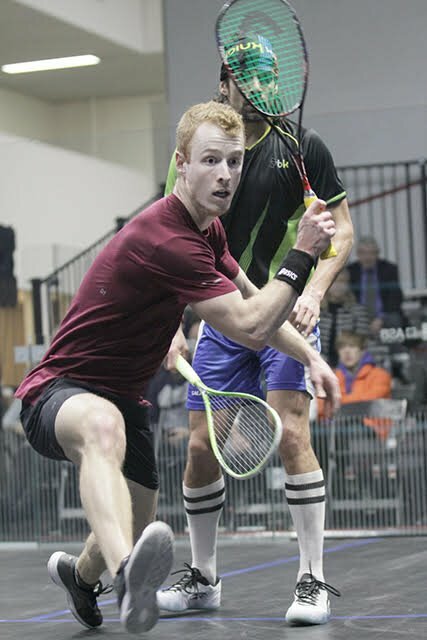 At 11-11, Tuomi took a racquet just above the eye, but following his injury break returned to take the game 13-11. Gordon gained his own 7-1 advantage in the second and cruised to a win in the game. Early in the third, though, he suffered a cut below his mouth, and after that he never got entirely back on track. Tuomi won the third and fourth, both 11-7. The remainder of the matches were decided in straight games. 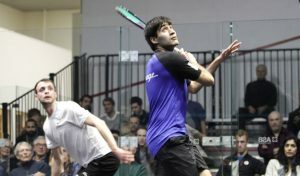 Englishman Lyell Fuller, Indian Ramit Tandon, and Canadians Andrew Schnell and Shawn Delierre all notched decisive victories, while Mohamed ElSherbini of Egypt had to work harder for his 3-0 win over American Faraz Khan, with the first and third games going to extra points. In the first, ElSherbini dominated a series of long, testing rallies to take a 9-3 lead, then proceeded to lose his length and find the tin. Khan came back to reach game ball at 10-9 and again at 11-10, but the Egyptian elevated his play to close out 13-11. The story in the third was a reverse of the first, with Khan going up 6-1 and ElSherbini fighting back. The tail end of the game was marked by a series of contested calls and tins from both players, with ElSherbini ultimately triumphant, 15-13.